When you think of the essential pieces of commercial kitchen equipment, the microwave isn’t typically one of the first things that springs to mind. But the microwave is usually one of the most frequently used and under-appreciated pieces of equipment inside a kitchen. Whether you’re saying good morning to your guests by serving them a hot breakfast or sending them off to bed with a full stomach after enjoying dinner, a high-capacity microwave will ensure that you always have enough hot food that’s ready to serve. From a bed-and-breakfast to a large franchise hotel, a high-capacity microwave will help to quickly serve all your guests and provide them with delicious food. Keep those young minds bright and their stomachs full so they can concentrate on learning! A high-capacity microwave is perfect for any kitchen inside a school or university. During breaks and meal-times, hundreds of students flood your kitchen looking for the perfect snack or meal. Serve them quickly by utilizing your high-capacity microwave to help the line keep moving forward. Healthcare is needed round the clock for patients, and so are professional kitchens inside your healthcare organization or hospital. Guests at the hospital are looking to get food quickly and are often tired and worn out. Keep your guests satisfied and provide them with the nutritious energy they need by providing high-quality food that can be quickly prepared using a high-capacity microwave. Food courts are one of the highest traffic areas inside a mall. Whether your guests are taking part in a group shopping trip or just looking for the perfect gift, professional kitchens located inside mall food courts often see line-ups of guests wanting to purchase food throughout the entire day. Get through the line-ups quickly by utilizing a high-capacity microwave to cook delicious food that satisfies your guests! Owning the right commercial kitchen equipment is an important part of running a successful commercial kitchen, and can make food preparation, cooking, and warming food easier. 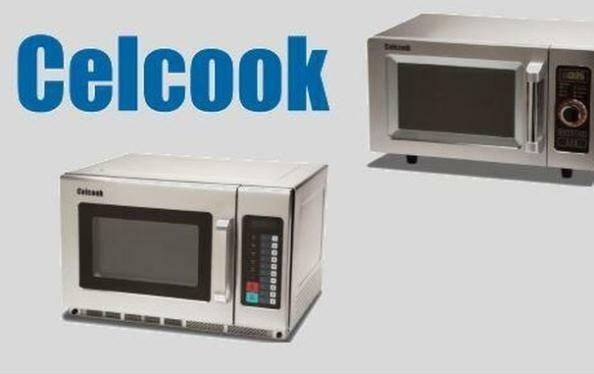 Kitchen owners can rejoice in knowing that Celcook offers a selection of food warming equipment to enhance their kitchen, including high-speed restaurant ovens and high-quality commercial microwaves. We guarantee the quality and reliability of our products, and offer a comprehensive 3-year limited warranty on all our microwave products. Contact us today to learn more and to find the best commercial microwaves for your kitchen.